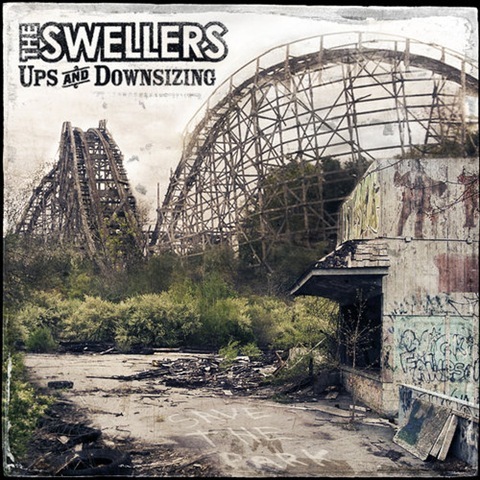 The Swellers latest, Ups & Downsizing, is another album I missed out on in 2009. I only picked up on it now because Rocksound has just featured them as Band Of The Month in April’s issue. Do You Feel Better Yet? Alexisonfire/Billy Talent – 15th April Cunard Centre, Halifax, Nova Scotia. Venue Management/Door Security = FAIL! Ok. Here’s the deal. We arrived outside the venue around 7.15 pm, and Alexisonfire came on at 8.10 pm (from what I understand). By the time we worked out which of the 3 queues we were supposed to be in and then queued for what seemed to be an ‘age’, an hour must have passed, as I got in around 8.20 pm. The hold up seemed to be that security were doing quite time consuming (slow) pat-downs on everyone entering the venue. However, because of the policy of separate pat-downs and bag searches for males and females and the fact that there seemed to be one female security person, it took my wife a further 20 minutes to get into the hall. Bear in mind that Alexisonfire finished up their set at around 9.00 pm. To top it all no attempt was made speed up the women’s queue despite the lack of any men’s queue at one point. I really felt for one young woman who had just arrived as the ‘house lights’ went on. She asked me who the band was who had just finished as she had been queuing outside, and was close to tears when I told her that the band she had just missed was Alexisonfire. Not surprisingly she had specifically come to see them. As I said before, both bands were awesome, and they are blameless in the matter. But, the venue management, get your act together!!! Please!!! Anyway, rant over. Well for the moment. Hey, I’m from the UK, what do you expect. But, I think it’s catching…. So for all the fans out there, here is a couple of videos by said bands. Alexisonfire: We Are The Ocean, Dance Gavin Dance, A Day to Remember, Emarosa, Underoath, The Ghost of a Thousand, Funeral For A Friend, Chiodos, Cancer Bats, Saosin. Billy Talent: Pezz (Billy Talent’s original name), Rise Against, Sum 41, Anti-Flag. Other bands have tried variations on this theme and in some cases simply made an album simply free to download. Well, one label that has also gone with the pay-what-you-want approach is the Canadian based Moshpit Tragedy Records. Specialising in Punk, Metal, Crust and Sludge the label doesn’t sell records or CD’s anymore, but allows people to download releases from their website and decide on how much they should pay. The label sees itself as a response to fans and artists being ripped off and abused by records companies over the years. Label founder, Rayny Forster, is featured in the yet to be released record industry documentary ‘Behind The Suit And Tie’.